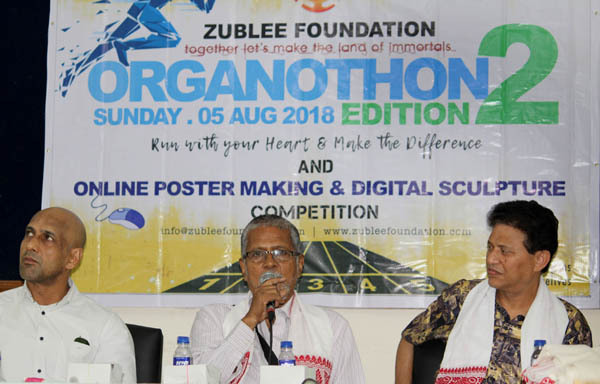 Singer-activist Zublee Baruah’s Zublee foundation is organize its second edition of ‘Organothon’ – a run to create awareness about organ donation on August 5 in Guwahati. The singer is working to involve more people in the initiative. Padma Shri Award winning doctor Sarbeswar Sahariah has vowed to help her in this initiative. “India is still lacking far behind in organ donation. Though the rate of road accidents is very high in India, people are still not aware of the importance of organ donation. We must work together to bring a change,” said the highly decorated doctor. Sahariah, however, said that states like Andhra Pradesh and Telengana among others are comparatively advanced in this regard. Sahariah was born and brought up in Managaldai. He has performed the first Cadaver Renal Transplantation in Andhra Pradesh and first laparoscopic donor nephrectomy in the country. “We want to make an appeal to the people, institutions and organizations to come forward and participate to support the noble cause and also Zublee Foundation. I want more people to get associated in the programme so that the message reaches to the maximum people,” said Zublee.